Drumming Guys - drumming for Fifa 2010 theme song video. Drummers in fifa 2010 ad. 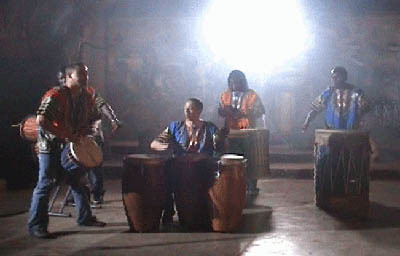 Drumming guys on video shoot for fifa world cup 2010 advert. live drumming for the fifa 2010 World Cup theme song / video. The advert is airing on SABC 1, SABC 2 and SABC 3.